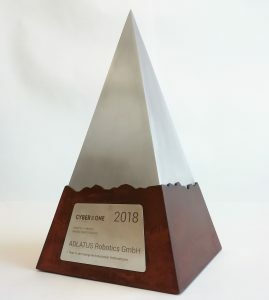 In the course of the Hightech Summit Baden-Württemberg, the 20th “CyberOne Award Baden-Württemberg” was presented yesterday in an impressive event location of the old power plant in Rottweil. Among over 100 startups, we persuade with our service robots in the category of industrial technologies and won the “CyberOne Award Baden-Württemberg” yesterday. 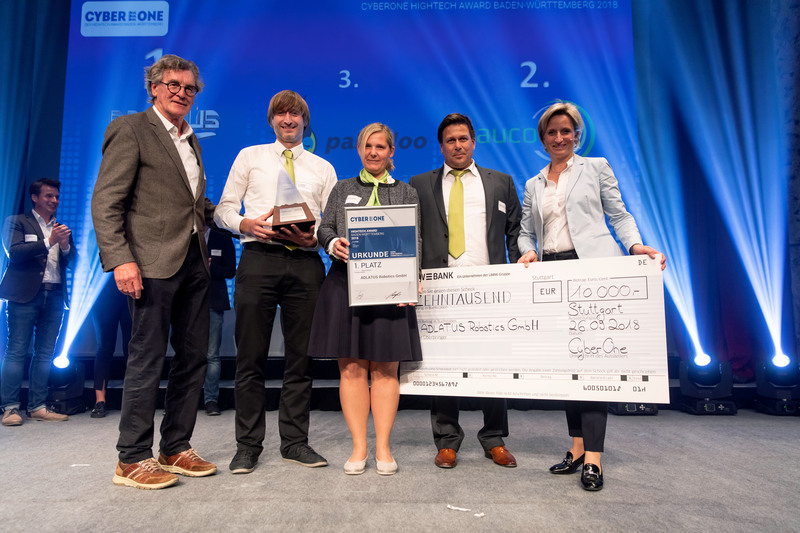 To be one of the most innovative startups in Baden-Württemberg makes us extremely proud and we see ourselves in our actions confirmed to be on the right way.